Art Talk: New Release Blog Hop with The Rubber Cafe! 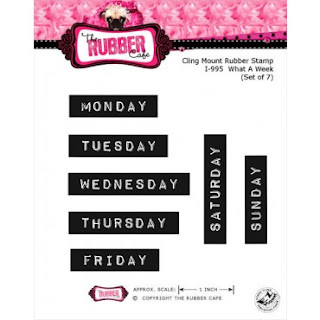 Welcome to The Rubber Cafe new release blog hop! We've kicked this all off on Monday December the 10th and ending on Wednesday December 12th. Today you'll be hopping with Karen, Heidi, and myself. 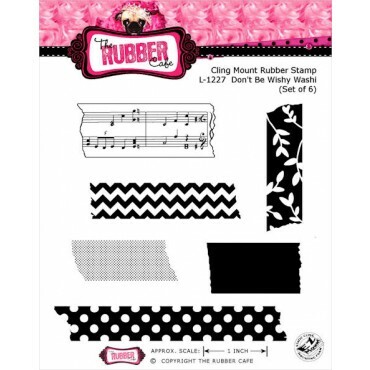 If you just happened to visit my blog today and would like to start this BLOG HOP from the beginning, simply follow THIS LINK to be taken to The Rubber Cafe blog to begin the celebration. 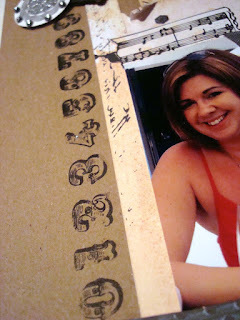 There will be a Grand Prize for one lucky winner so be sure to stop at each blog and leave a comment to be registered. Don't forget to also leave a comment on each main blog post at The Rubber Cafe too. This time our new releases are featuring stamps designed for us by Jamie Doughtery, and can be found here! I created a scrapbook layout using two of the new sets, Remember the Moments & Don't Be Wishy Washi. I was thinking about New Year's goals and resolutions here. I wanted to use those numbers as a sort of countdown. 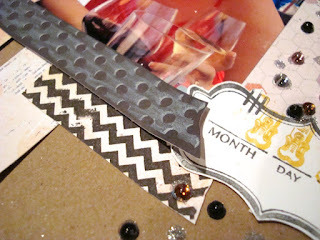 Check out how I used the Washi tape- looking stamps! I stamped the dotted one with Faber-Castell Design Memory Craft's Opaque Stamper's PITT White pen. The chevron stamp was done with a Design Memory Craft Stamper's Big Brush black pen. The circle stamp was perfect for a the crystal ball that drops over Times Square! The photo is not from New Year's but from a trip where I had drinks with my family and talked about goals. 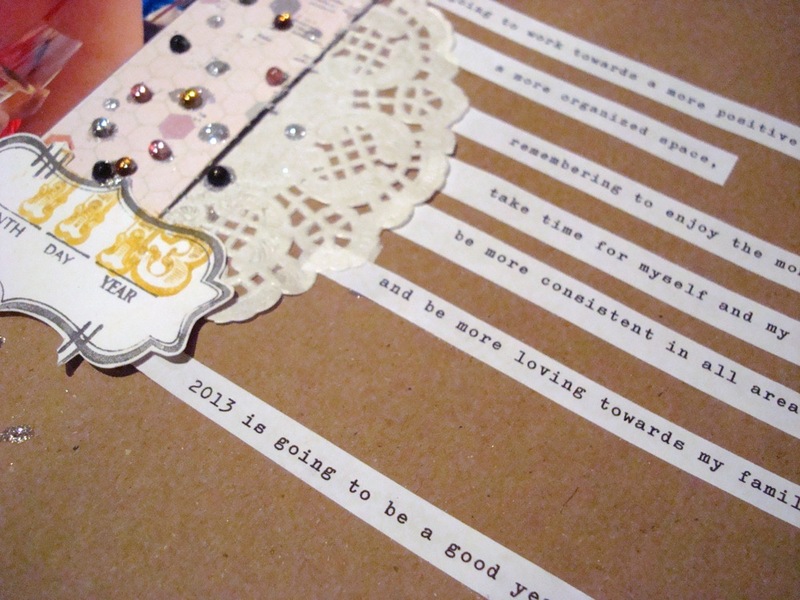 I want my goals for the new year to be positive ones filled with family, creating, and time for my health and wellness. You can see that I used the date stamp and added the numbers in a contrasting color. Lots of Jellie Dots and You're So Fine glitter to create a confetti look to the page. 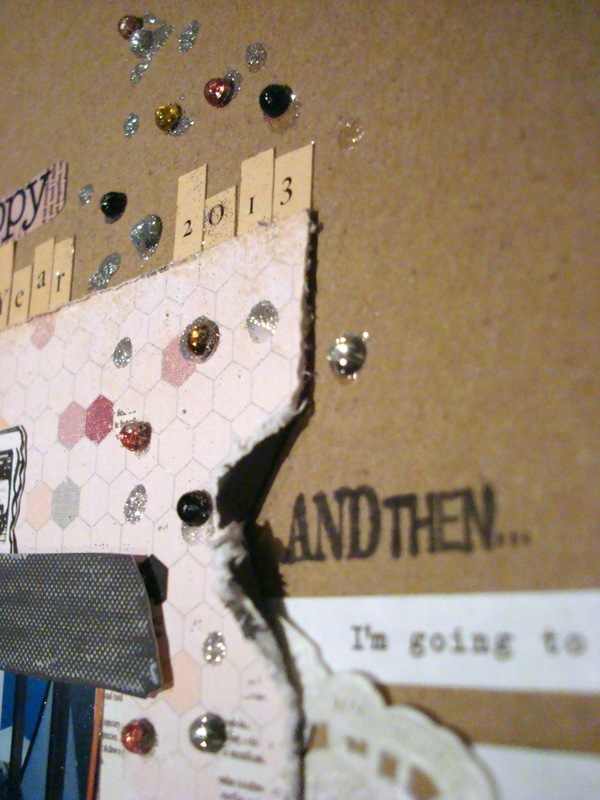 All I did was put dots of Scrap Happy Glue on the page and added my Jellie Dots with the Stick 'Em Up tool. 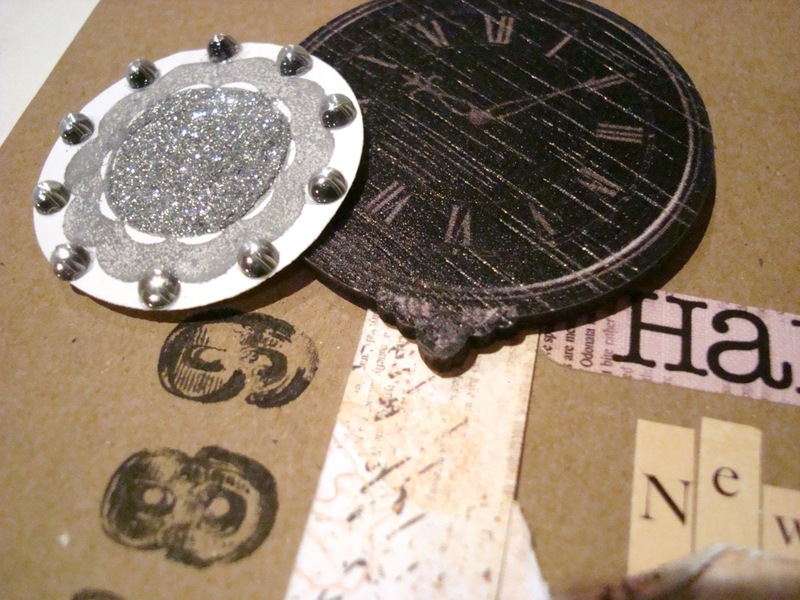 I hope you enjoyed my project using the new release stamp sets at The Rubber Cafe! if you missed yesterday go to this post on The Rubber Cafe Blog to see what you missed. 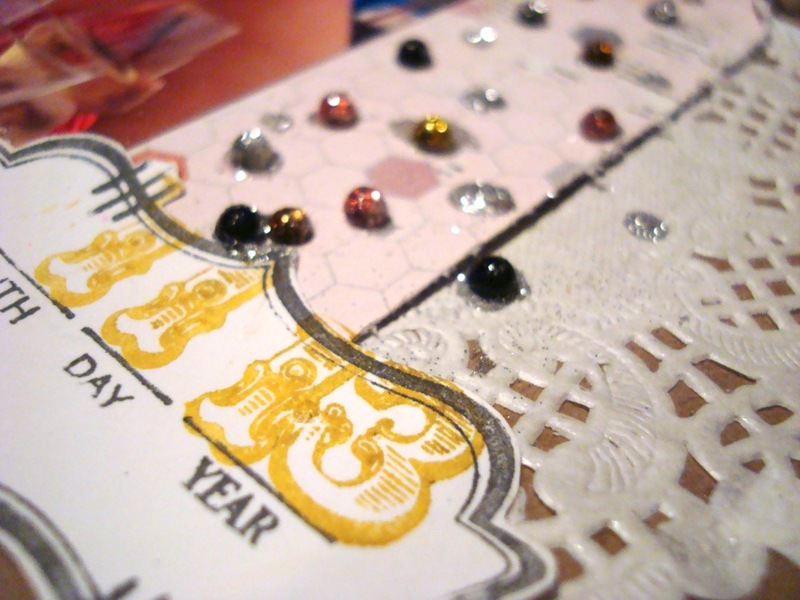 There are many wonderful projects on the other DT member's blogs! 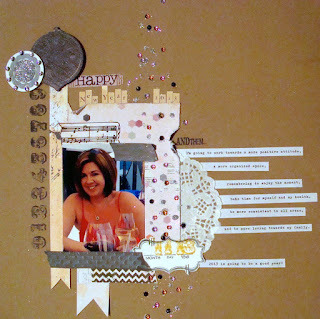 This is a modern vintage look with the stamps and colors used. Very nice combination. Fantastic layout!!! Love the vintage feel to it! Super super cool layout! Awesome design, thank you for sharing. Very creative layout with these stamps. Love this layout! Great job! LOVE your layout! Love all of the different textures! Happy New year! great layout.